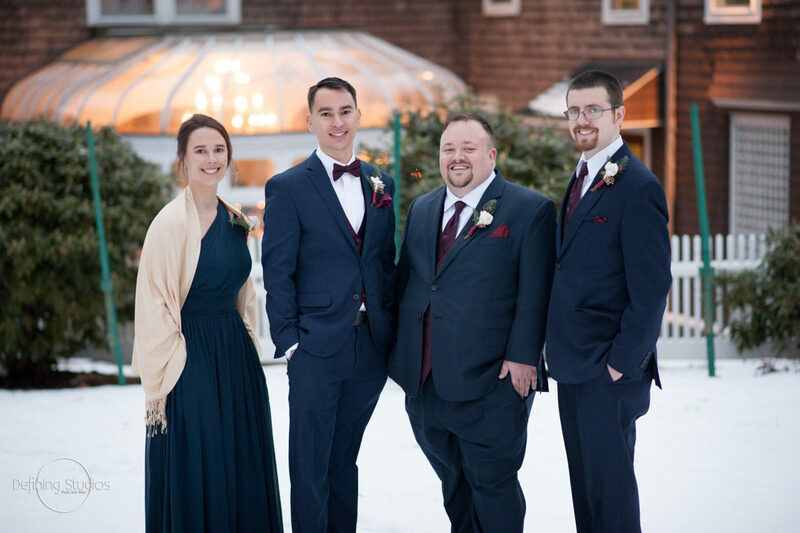 Amanda and Andy came to be one of my bride and grooms through our marketing partners at WeddingWire.com. 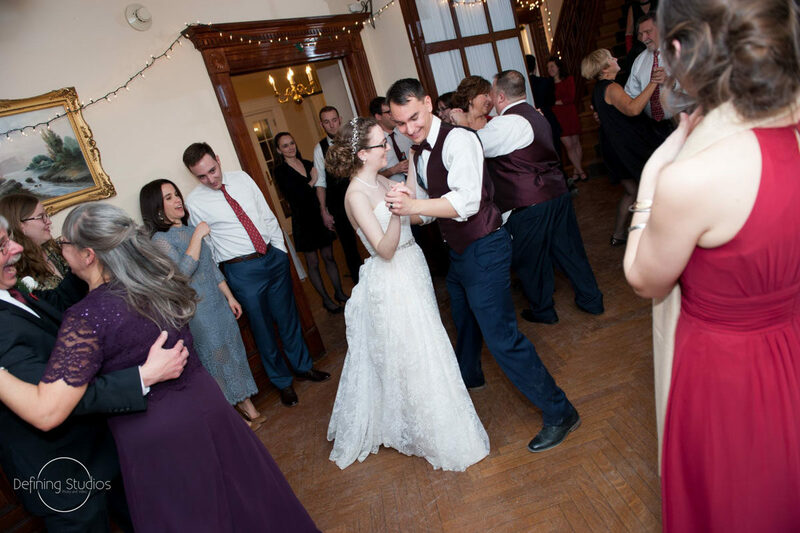 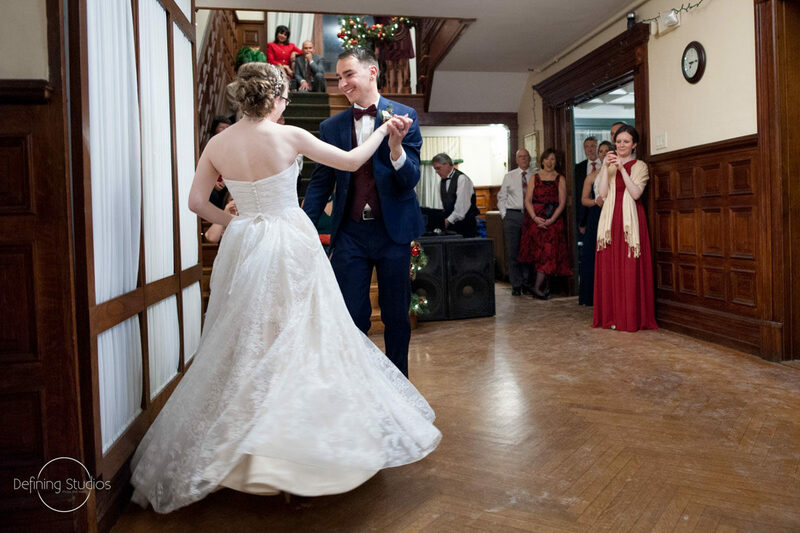 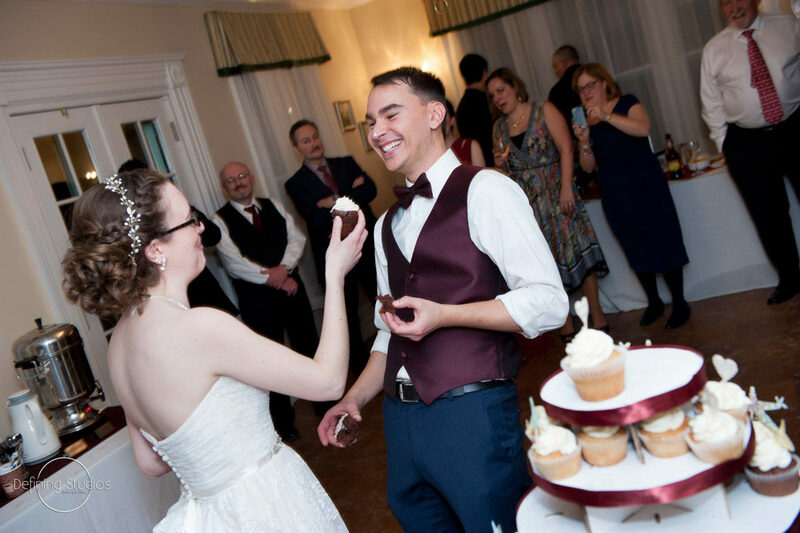 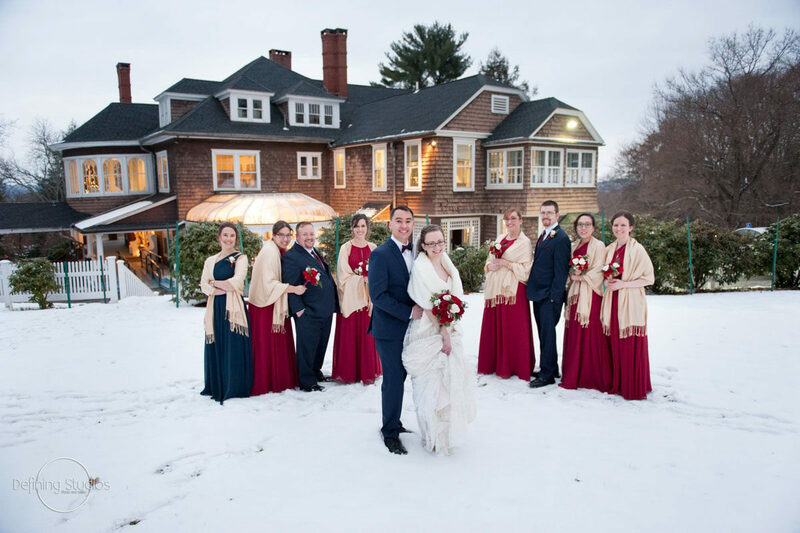 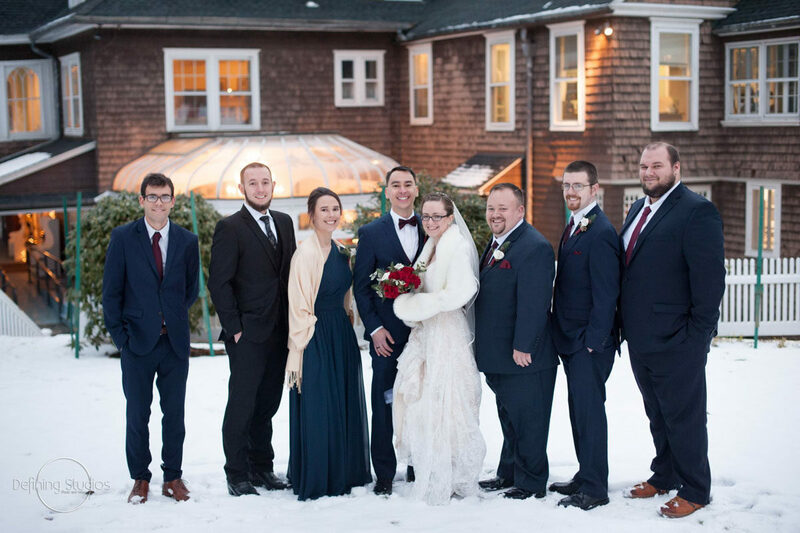 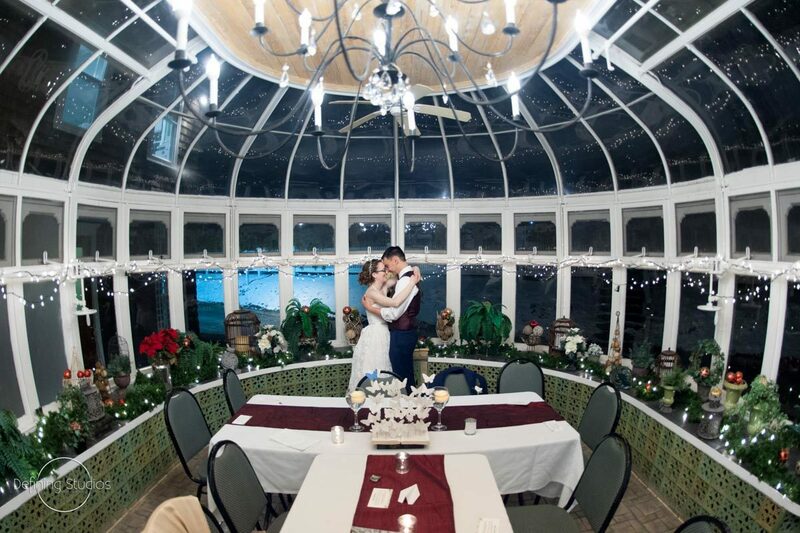 The young couple traveled from Berlin, Ct, attracted by the romantic style and historic nature of Tarrywile Mansion, affordable rental fees and extensive list of approved caterer’s and preferred vendors to choose from. 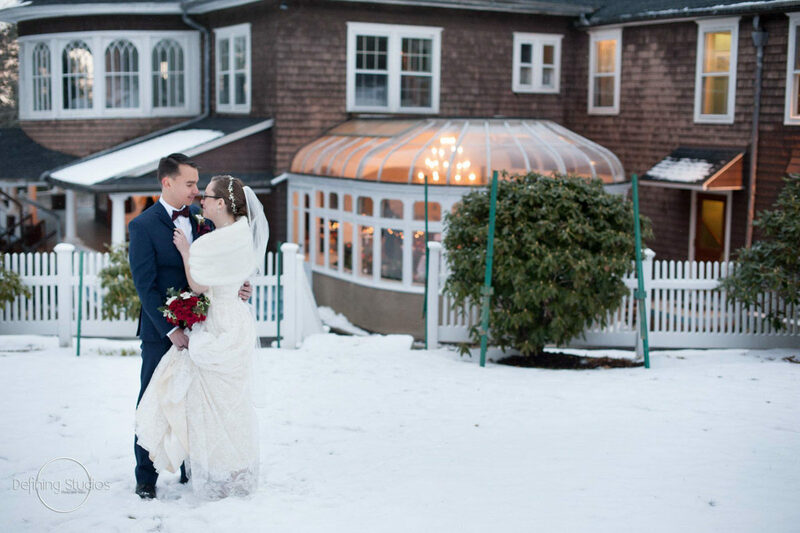 The wedding day was a week before Christmas with a beautiful December sky and a”balmy” New England temperature of 39 degrees. 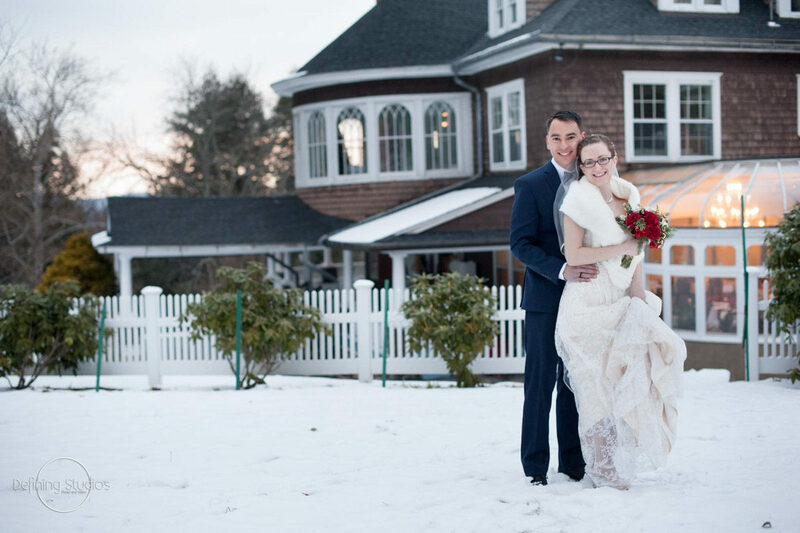 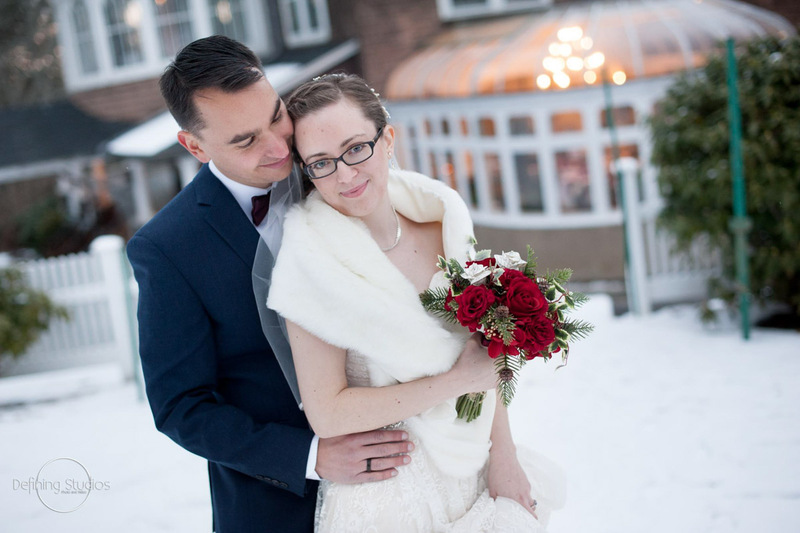 We had just been blessed with a couple of inches of snow two days prior to the wedding day which turned the grounds into a magical winter wonderland. 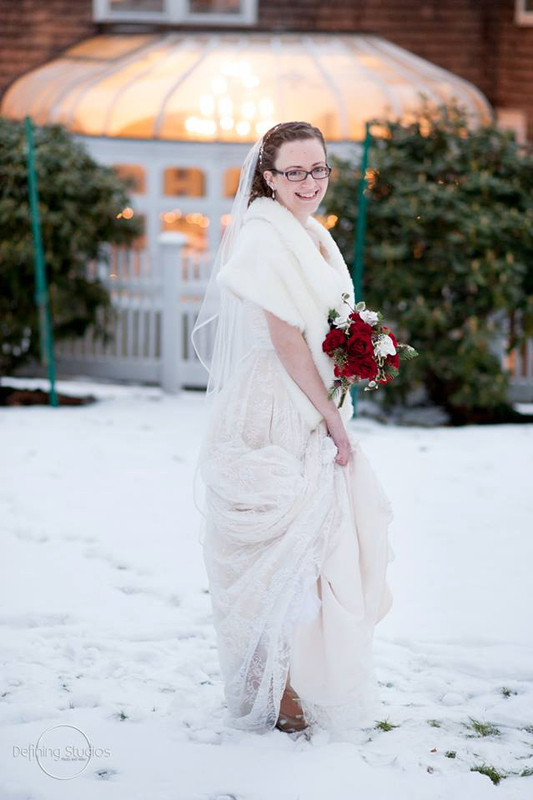 Our staff was ready with plows, shovels and sanders to ensure the safety of all attending the celebration that day. 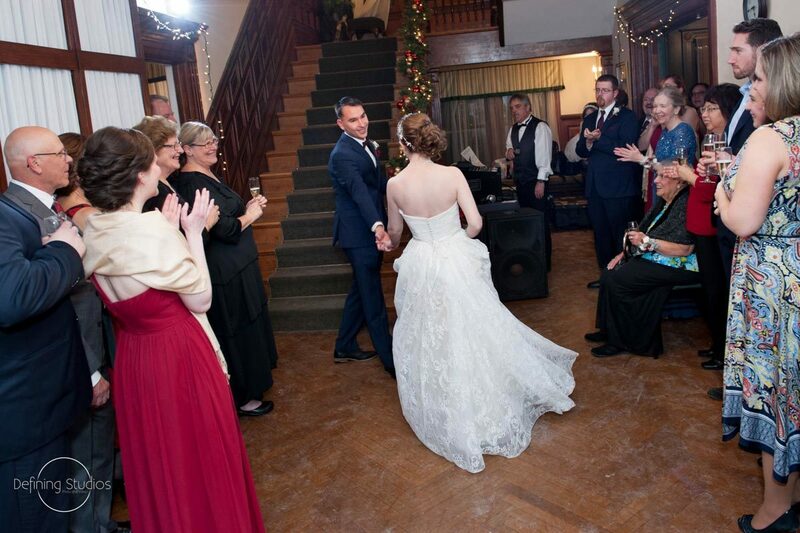 The wedding ceremony was performed at their local church in Berlin, immediately following the ceremony the guests were transported to Tarrywile Mansion in a luxury bus provided by Coach Tours out of Brookfield, CT.
Roger Castinguay of Defining Studios really captured the spirit of magic and romance of this young couple. 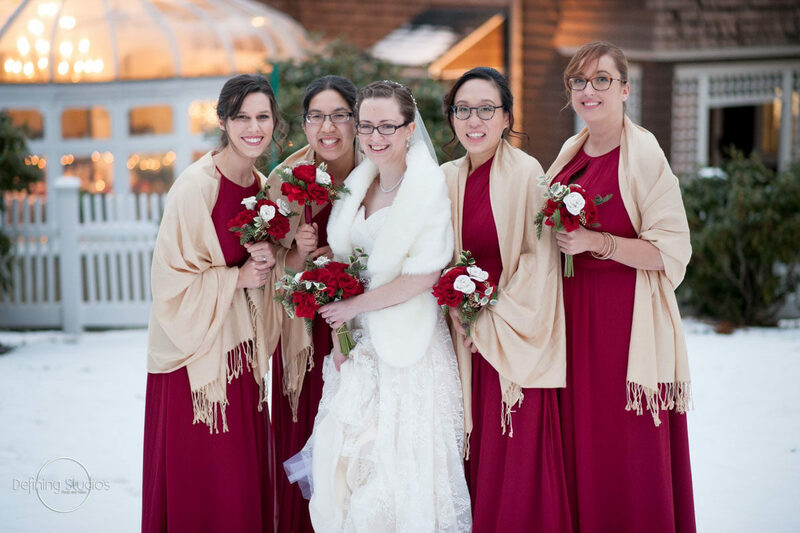 The combination of youthful exuberance against a pristine backdrop of snow added with the bright pop of color really brings this moment to life. 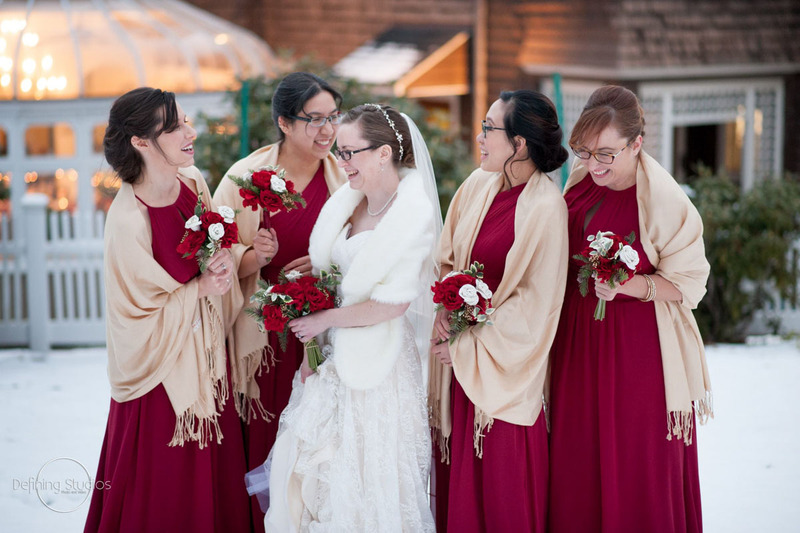 I can’t help but smile and for just a moment take part in their joyous day. 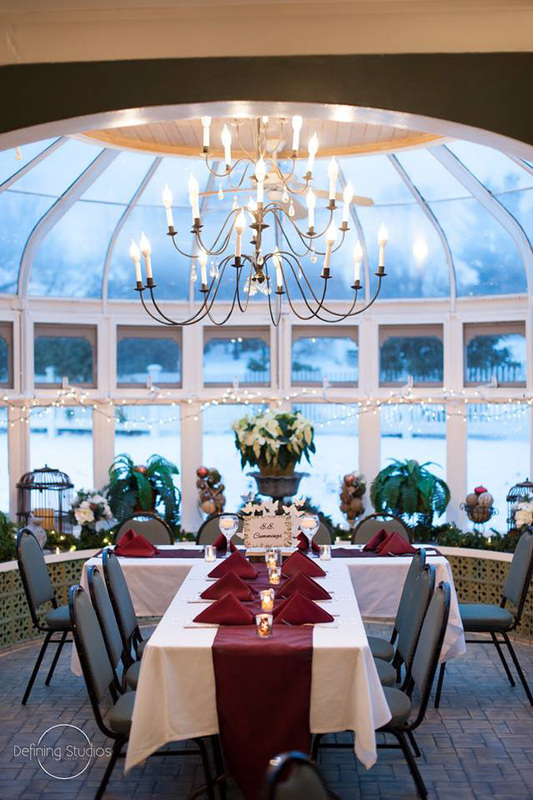 At the end of November when all our thanks are given, the staff at Tarrywile get down to business decorating the Mansion for the Christmas season. 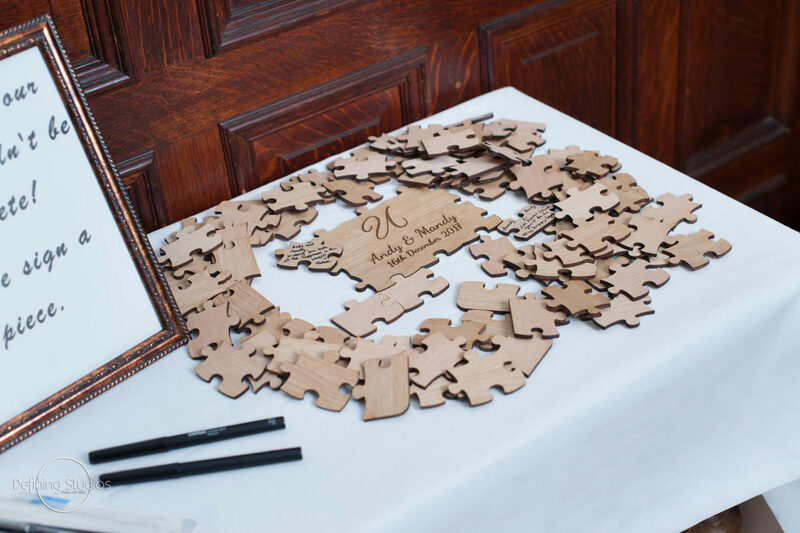 Amanda added her own touches to reflect the personalities of both her and Andy. 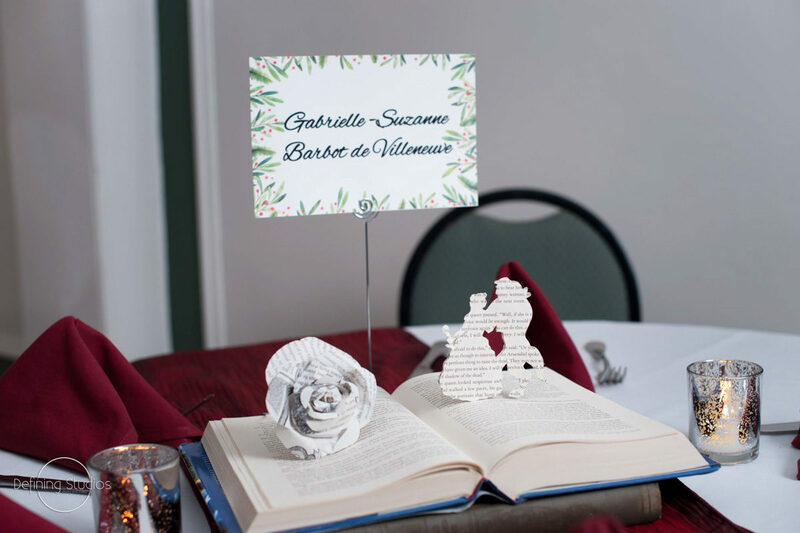 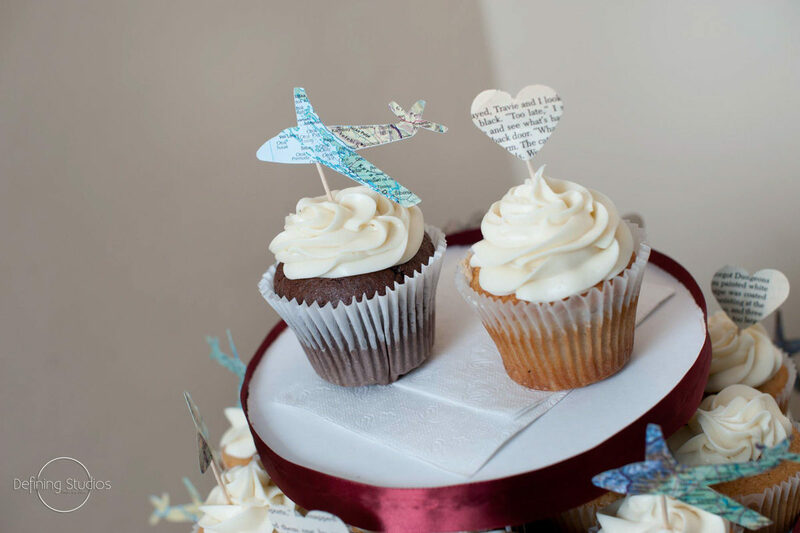 The centerpieces were made from books with carvings of famous children’s stories to represent Amanda as a Children’s Librarian and interspersed with the stories were assorted paper airplanes for Andy who is an Aeronautical Engineer. 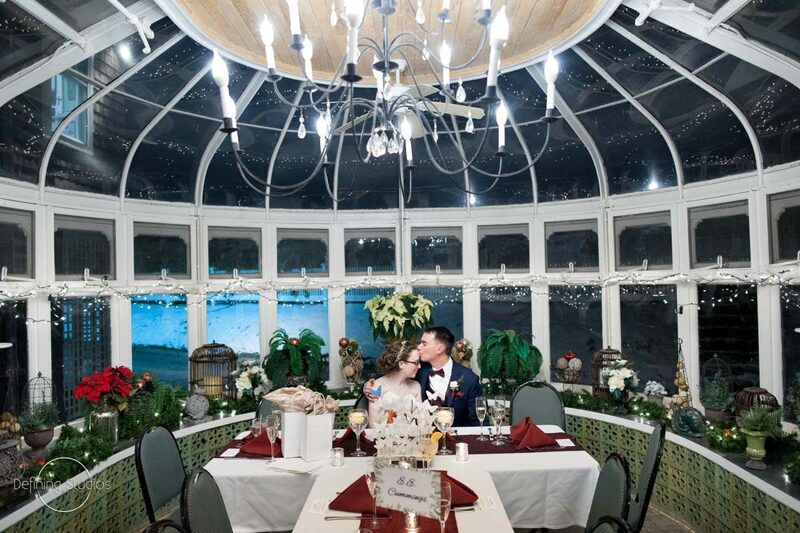 The holiday decor make a wonderful backdrop for any December wedding. 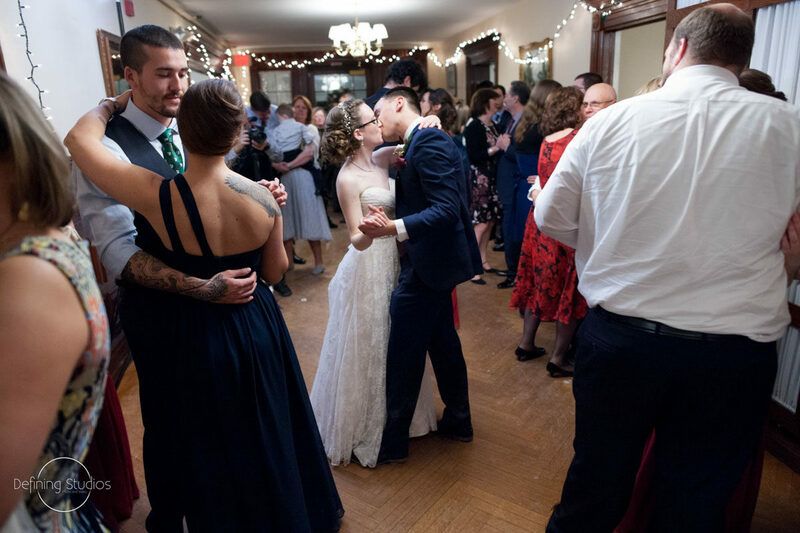 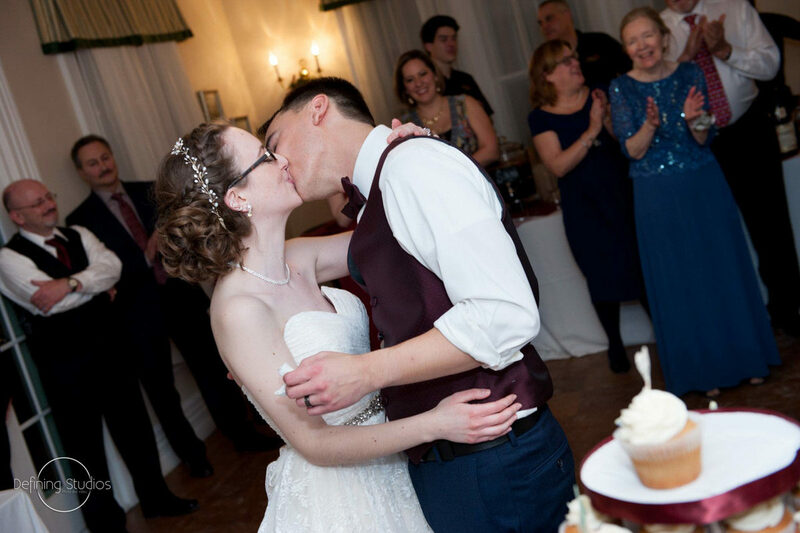 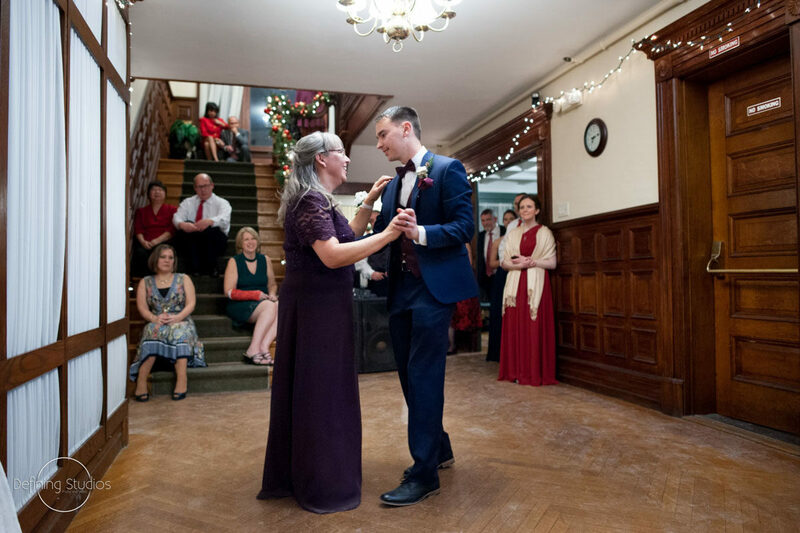 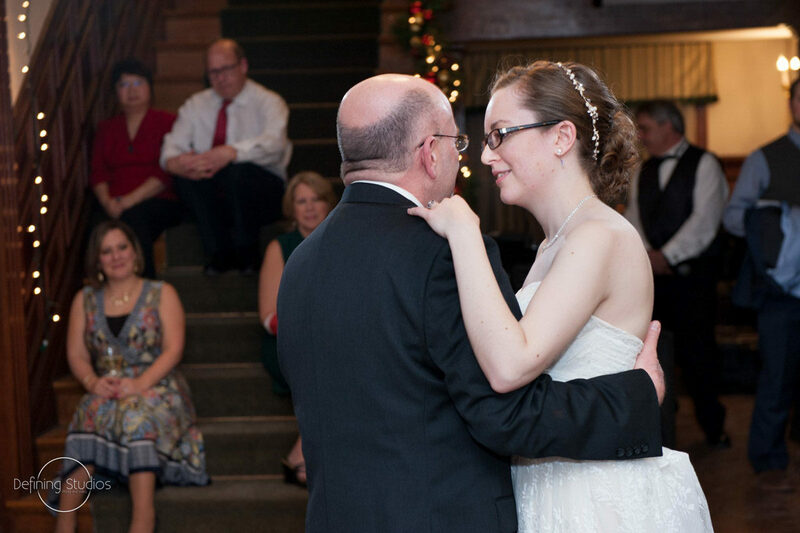 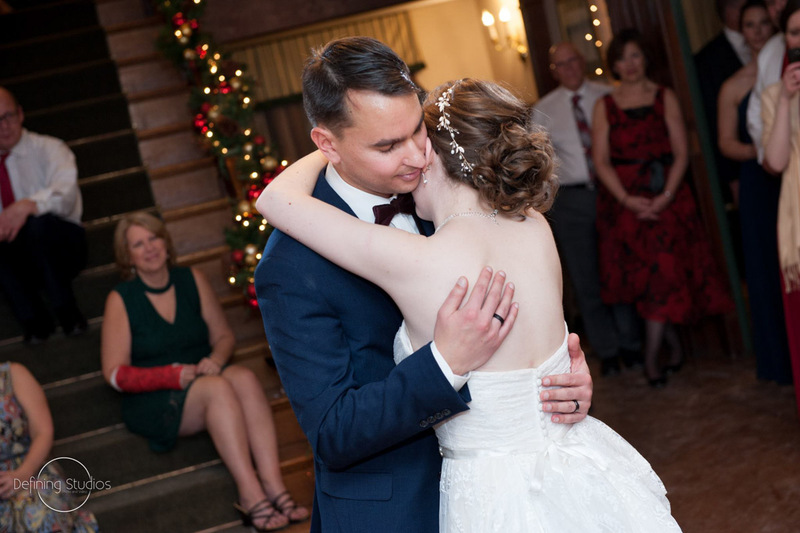 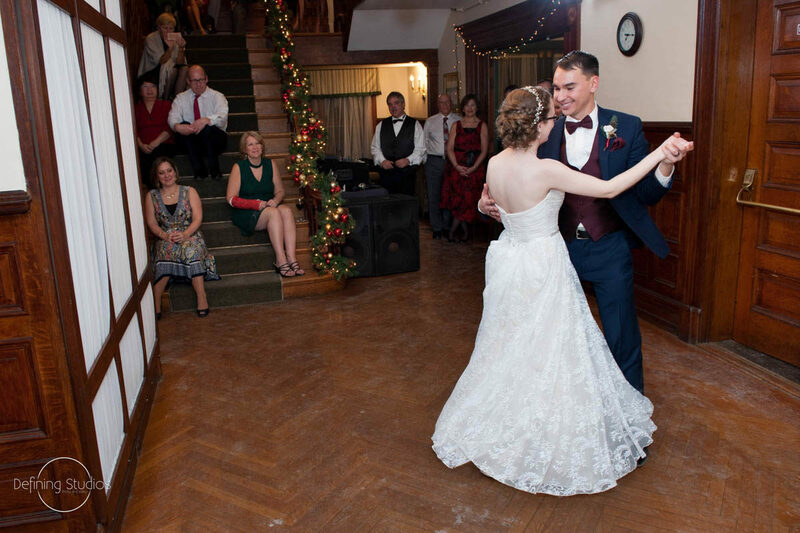 You can see some of the decorations in the background, I especially love this photo of Amanda and Andy during their first dance with the lighted garland subtly captured in the background. 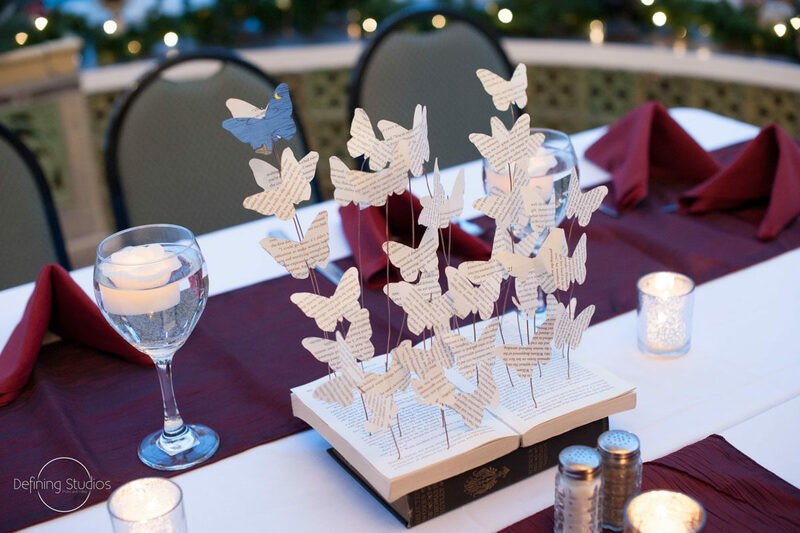 A great example for all you future December brides. 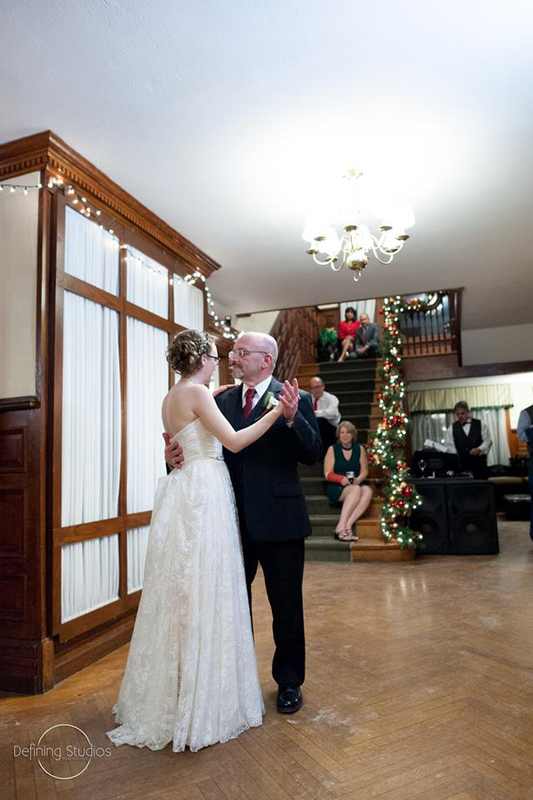 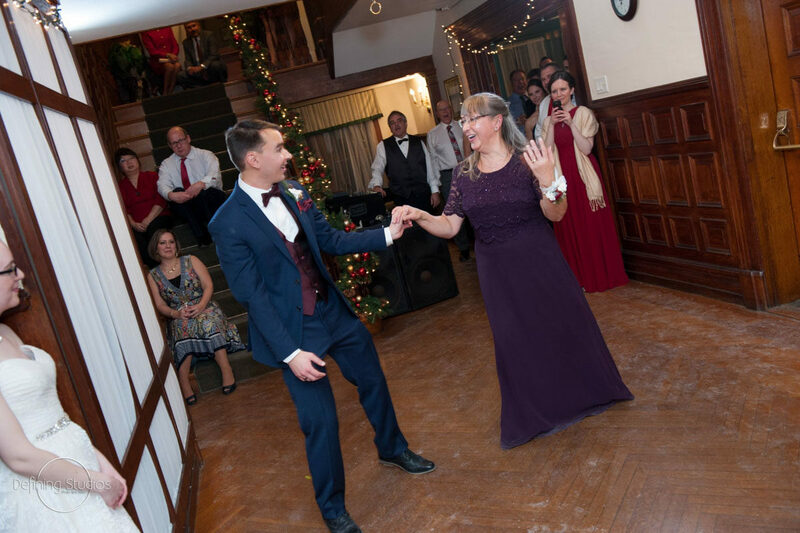 Read Amanda and her Mom’s reviews of Tarrywile Mansion on our Testimonial Page.